(and continue to give their lives) for us. that have loved ones overseas on duty. We will be thinking of you. Lest we forget. Those standing tall along life's path, lifting me onward from behind. To see all they gave to bless our lives, God's abundance now to find. The strength and power of God they knew and all they sacrificed for my gain. Those brave forefathers of faith who fought beyond the barriers of pain. a light to never be darkened; and a resource for their spirit to never be exhausted. must, like men, undergo the fatigue of supporting it." and all of the families whose lives were touched by their loss. Thank you to all who are serving their countries and to all of their families who sacrifice so they can serve. May the Lord watch over you and protect you and bring you home safely. 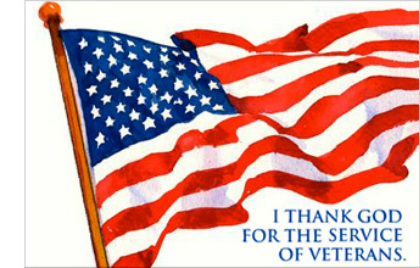 honor them on Veteran’s Day, make sure their day’s observed. from radiation in Japan, who knew effects would last ? where America took a stand. the health of unborn children, and sacrifices made. or just beneath the skin. who fought battles with the enemy to keep them from our shore. they’d do it all again. As I lay in my bed one night, a vision did appear. I've been around protecting you, before our nation's birth. I've fought on many battlefields, at all points on this earth. there will be found our Corps. we've fought to keep our country great, left many tales untold. We saw great numbers fall. The ruthless terrorists in Iraq, removing evil our reward. our country and our Corps.